There’s been a lot of hype around Austin lately. More firms and startups are relocating or setting up shop here. Furthermore, Apple has announced plans to build a $1 billion new campus in the city. 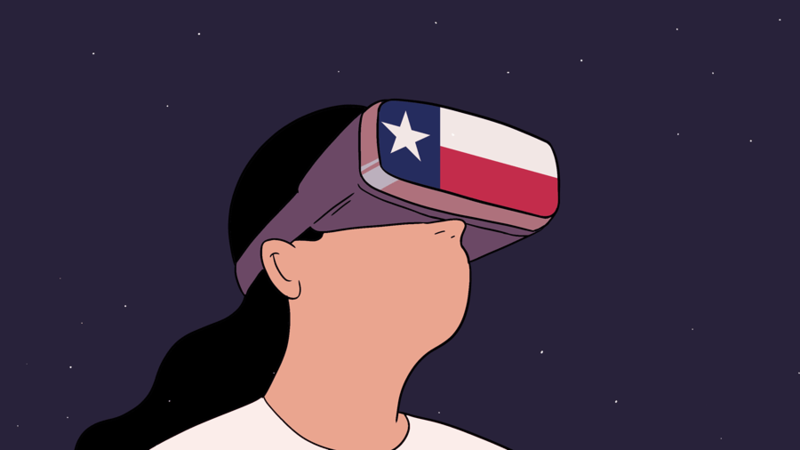 As a reporter who’s been covering the Texas VC market for a while, I’ve been waiting for the city to catch up to the hype. While it’s not there yet, we’ve got some encouraging numbers for the fourth quarter and 2018 as a whole to share. It looks like after a bumpy third quarter, funding in Austin rebounded in Q4 and the Texas capital can continue wearing its unofficial crown as “king of Texas VC” for another year. Houston had a relatively good end to 2018 as well, topping Dallas’ reported funding amounts for the second quarter in a row. The nearly $300 million in reported venture funding raised by Austin startups was the highest Q4 total since 2014, clocking in 45 percent greater than the $206.2 million raised in 2017’s final quarter, according to Crunchbase data. Notably, the number of reported deals, though, was far lower: 39 in Q4 2018 compared to 61 in the 2017 fourth quarter. Apparent deal volume declines may not be cause for alarm, though. There is a historical pattern of reporting delays for private-market investment transactions. Especially in the case of seed and early-stage deals, which may be small in check size but great in number, it can sometimes take several calendar quarters for details of those transactions to surface publicly and ultimately get added to Crunchbase. Higher VC dollar volume signals that Austin’s venture ecosystem must be maturing as we clearly saw larger deals. It was also a big improvement (82 percent higher to be exact) over the $165 million in reported venture funding that Austin startups brought in across the 2018 third quarter. Mobile edtech startup Aceable’s $47 million Series B marked the quarter’s largest deal. On an annual basis, Austin companies raised at least $1.29 billion in 2018. Because of reporting delays, that number is likely higher, but nonetheless that’s 28 percent higher than the $1.01 billion raised in 2017. SaaS provider BigCommerce’s $64 million Series F was the city’s largest known raise in 2018. I talked to Austin-based LiveOak Venture Partners’ co-founder and partner Venu Shamapant to get his thoughts on the local funding scene. The firm is reportedly in the midst of closing a $110 million fund. Shamapant declined to comment on its status. “Of the four investments we made in 2018, each was led by a repeat entrepreneur that had exited before,” he said. LiveOak also saw a couple of exits during the year, including Opcity being acquired by partner Move for $210 million. Texas’s performance as a whole was slightly better than 2017. For the year, startups across the state raised a total of $2.3 billion with Austin companies hauling in the majority (54.6 percent) of known funding. This compares to $2.19 billion raised in 2017. The fourth quarter was relatively weak, though, overall for the state compared to the first two quarters of the year. However, on the positive side, the $549.3 million in known funding raised was 49 percent higher than the $367.7 million raised by Texas startups in the third quarter. Although Houston still came in behind Austin and Dallas in terms of total funding for the year, it did manage to gain ground on a quarterly basis. In both the third and fourth quarters of 2018, Houston startups surpassed Dallas counterparts when it came to raising venture funds. Houston also nearly caught up to Austin in the third quarter, a rare occurrence. In the fourth quarter, Houston startups brought in $121.4 million across just 11 known deals, compared to Dallas startups only bringing in $101 million across twice as many deals—signaling more early-stage funding took place in Dallas. A notable fourth-quarter Houston deal was the $75 million raise by oil and gas shop Apex International, which was also the largest deal in the city for the year as a whole. For 2018, Houston companies raised $372.8 million across 77 known deals. That means dollars raised climbed an impressive 45 percent compared to $257.7 million across 95 deals in 2017. Even Austin-based startup shops are paying attention to Houston. I reached out to Capital Factory’s (CF) co-founder Joshua Baer to find out why his popular and growing accelerator set up shop (and hired a team) in Houston during the fourth quarter. He said the move was part of the Texas Startup Manifesto that CF launched last year, which was a mission to connect entrepreneurs, family office investors, and big corporations in Texas. “It’s producing great entrepreneurs with great businesses,” he said, adding that CF invested in multiple Houston companies in 2018 and expects to do more investing in the city in 2019. Houston’s “obvious” strengths as a startup market include being the US headquarters of most energy companies as well as home to the Texas Medical Center and its member companies, according to Baer. He also cited the city’s standing as the fourth-largest in the country, and the fact that it has one of the nation’s most diverse populations. But Baer’s also realistic about its ability to compete with Austin when it comes to its startup and venture scene. Meanwhile, Dallas startups rebounded some from a weak third quarter, yet total funding in the fourth quarter was lower than the first two quarters of the year. As mentioned above, companies in Dallas brought in $101 million across 22 known deals in Q4 2018. That was a disappointing 66 percent lower than the $300 million raised in Q4 2017, but a marked improvement over the 2018 Q3 quarter that saw just $41.9 million raised. As an indicator of just how weak Dallas’s Q4 was, the largest deal over that three-month period was a $10 million Series A by iDonate, a fundraising platform. The city’s largest funding took place in the second quarter when fintech startup MapleMark Bank announced a $90 million raise. Of the deals that were made in the city, he points out that e-commerce platform Neighborhood Good’s combined $13.8 million raise was one of the largest. His firm, which primarily invests in US and India-based companies in the mobile, cloud, and big data sectors, led a Series A in an undisclosed Dallas-based AI and SaaS company that will be announced later this month. Looking ahead, Sharma hopes to see more funding in Dallas in 2019. While 2018 was a good year for Texas startups seeking capital, there is room for that to change, even if that change won’t be felt immediately. However, he’s generally also realistic about the impact that the recent public market upheaval might have on private investing. I, for one, am eager to see just how much closer Austin will get to living up to the hype surrounding it. I think the key here is patience and time. In the meantime, we’ll see if both Austin and Houston continue to gain traction despite all the public market turmoil, and if Dallas can get out of its apparent slump.